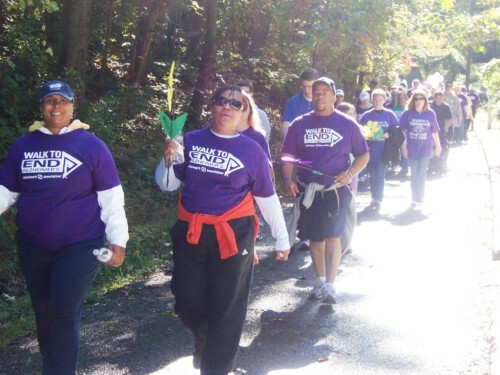 The Alzheimer’s Association invites the community to unite in a movement to reclaim the future for millions by participating in the Anne Arundel County Walk to End Alzheimer’s, Saturday, Oct. 20 (rain or shine), at the Severn School (201 Water St.) in Severna Park. Registration starts at 9 a.m., when participants can enjoy light refreshments, live music and entertainment for the whole family, including a children’s play area and face painting. Additionally, they can deliver a special tribute to those affected by this disease by placing pinwheel flowers decorated with the names of their loved ones in the Promise Garden. Everyone is encouraged to stay after the Walk for closing remarks, including the total amount of funds raised for Alzheimer’s research, care and support. They also can learn more about Alzheimer’s disease, the Alzheimer’s Association’s programs and services, and how to get involved with this critical cause: from advocacy opportunities, the latest in Alzheimer’s research and clinical trial enrollment. Participants are encouraged to register early as teams or individually. Admission is free, but those who raise at least $100 will receive a Walk to End Alzheimer’s T-shirt. For more information, to start or join a team, or to make a donation, contact the Alzheimer’s Association online at www.alz.org/maryland or by calling 410-561-9099 or 1-800-272-3900. Walk to End Alzheimer’s is the nation’s largest event to raise awareness and funds for Alzheimer’s care, support and research programs. Since its inception in 1989, Americans who have participated in the Walk have raised more than $302 million. 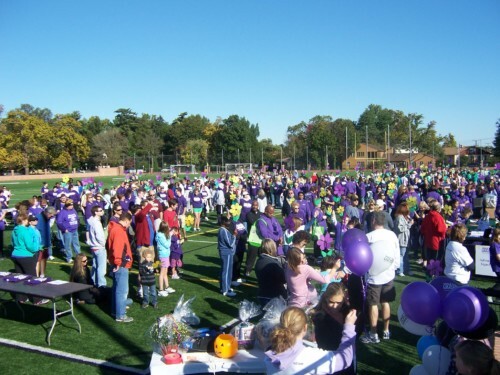 This fall, the Alzheimer’s Association Greater Maryland Chapter will hold a total of six Walk to End Alzheimer’s events. Last year’s events in Maryland drew over 4,700 walkers and raised more than $779,000.